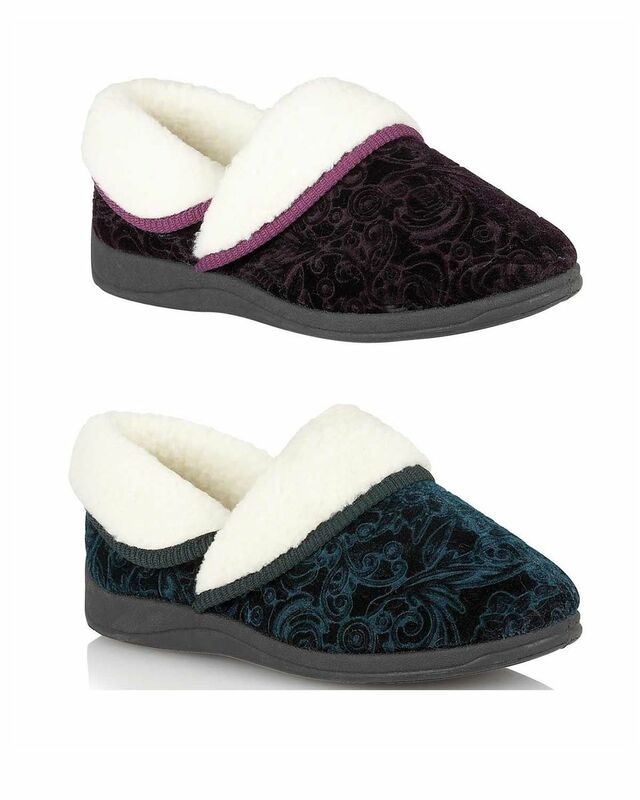 Classic Womens Supportive Lotus Slipper. Sizes 3-8. Warm supportive Lotus slipper with decorative turn back collar. Man made sole. Plum, Teal.